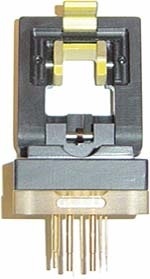 Design Notes: Our Surface Mount test sockets are world class (see our MicroPress SMT under the Featured Products menu). 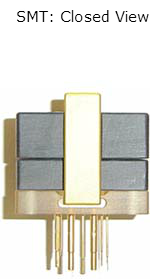 This is our typical clam-shell style socket for surface mount devices. It utilizes pogo pin contacts. Kelvin solutions can also be worked with a ball foot or double pogo scheme.